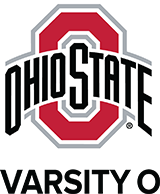 The Office of Volunteer Relations is focused on providing alumni, fans, friends, donors, and community members with an easy way to find volunteer opportunities with Ohio State. Visit volunteer.osu.edu to learn about community service opportunities in your area. The Columbus Recreation and Parks Department’s mission is to enrich the lives of Columbus residents. We provide numerous art, recreation and conservation programming for all ages with the support of dedicated staff, community partners and volunteers. Learn more about community centers in a few Columbus neighborhoods that could use volunteer assistance with youth programming in 2018.